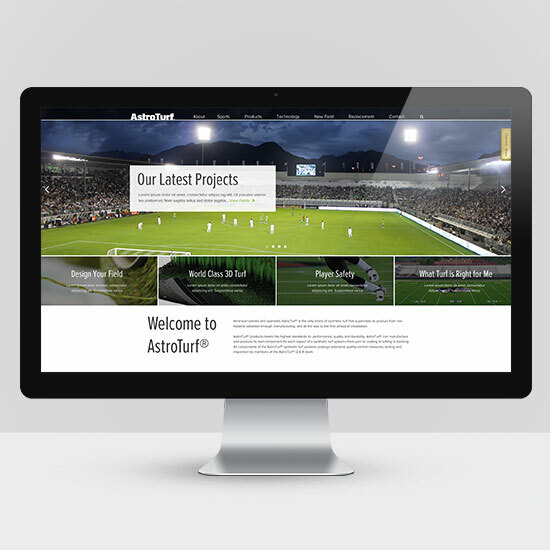 The inventor of synthetic turf came into Riverworks for a new website. We were happy to oblige and started on a design right away. Not long into the design, AstroTurf came back and said, “Actually, can we get this in a month?” And boom— we were off to the races. With the help of developer Kevin Ard, I simultaneously designed and developed the site to completion in just short of a month. The site can be viewed here.